The first person who thought a ring of deep-fried dough was a good idea is an unacknowledged hero. 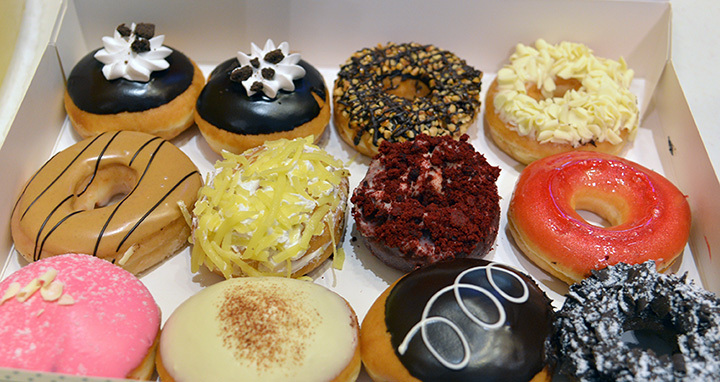 After all, how could we live without doughnuts? They are the key to office parties, the fuel to a morning, and a reason to celebrate every time we take a bite. If you’re looking for good doughnuts in the Beehive State, look no further than the ten best doughnut shops in Utah. Provo Bakery has been around for ages. That said, in recent years, it’s been revitalized in the hands of new owners. The bakery’s proclaimed specialty is the doughnut, and we’d be lying if we said we’ve never dreamt about their ridiculously delicious buttermilk bar. According to the experts, Banbury Cross is Utah’s best doughnut. If you want one its renowned blueberry or cinnamon crumble doughnuts, you’re going to have to get there early to beat the crowds. Similar to the Provo Bakery, the Lehi Bakery has been around for at least half a century. It’s famous for its square doughnut: a light and fluffy creation with the perfect amount of shimmering glaze. With five locations along the Wasatch Front, Beyond Glaze presents the doughnut lover with an interesting conundrum: go classic or creative? With flavors ranging from “Key Lime Crumble” to “Peanut Butter Swirl,” the worst thing about Beyond Glaze is having to choose which of their delicious flavors will make the cut. Darla’s Donuts is a classic little doughnut shop with all the right fixings. Although the flavors never get too crazy, it’s worth venturing into the unknown with their “Root Beer Float Donut” that will knock your socks off in all the right ways. Unlike most doughnut companies, Art City Donuts doesn’t have a storefront. What they do have, however, are two food trucks that roam around both Utah and Salt Lake Valley. Art City Doughnuts are bitesize mini doughnuts that come in a variety of gourmet flavors. A small neighborhood grocery store tucked into Provo’s east bench, Day’s Market is best-known for their inexpensive and delicious doughnuts. Unlike most grocery store doughnuts, these things go fast, and for good reason. Make sure to try the crueler doughnut—it’s incredible. Fresh Donut & Deli is a hole-in-the-wall doughnut shop that doesn’t get the attention it deserves. Its doughnut selection isn’t as wild as some places, but it offers up some of the best classic flavors in the highest quality. They are, according to many locals, the best doughnuts in Utah. Most Utahans know Dunford Donuts from their neighborhood grocery store. Sold by the dozen all across Utah, Dunford is most famous for their cake doughnut selection. A visit to their massive baking facility in West Jordan? It’s a whole new experience that is eons better than anything of theirs you can get at a grocery store. Largely due to its southern location, Curtis Bakery in St. George remains largely undiscovered. This place is old-fashioned not only in the way it prepares its doughnuts, but also in the way it presents them. The atmosphere of this spot is classic.